Being Frugal and Making It Work: LEGO Club Exclusive ~ Save 20% Off Your BrickSwag Subscription Box! 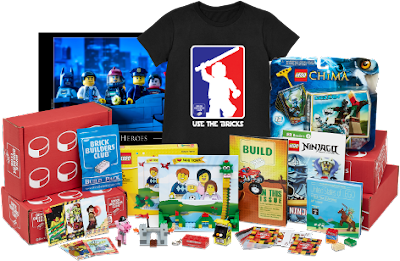 LEGO Club Exclusive ~ Save 20% Off Your BrickSwag Subscription Box! My daughter is a huge LEGO fan. 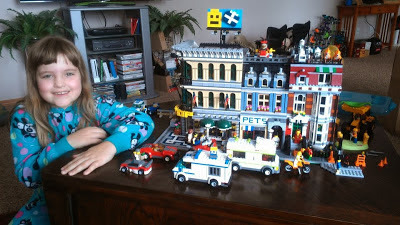 She loves building them and has an entire LEGO city created on our air hockey table. Do you have a LEGO lover in your house? If so, this is going to be perfect for you to keep the inspiration flowing and achieve master-builder status! BrickSwag is box full of LEGO-themed merchandise that arrives in the mail just for your builder. It even arrives with their name on the package. Every month, your red brick-shaped box arrives packed with official LEGO bricks you keep - never clone brands, an exclusive LEGO-themed T-shirt in any size, Build Magazine packed with interviews and building ideas, custom trading cards, inspirational posters, and more. This is a definite hot pick this holiday season, and we have it for you now at the best price. Last year, memberships sold out before December so now is the time to lock in for this holiday season. Their Mission: To Inspire, Educate, and Entertain with LEGO bricks. Disclaimer: The Being Frugal and Making it Work family will receive free sample copies for our participation in the US Family Guide program. No monetary payment was received. I loved Legos as a child. Every time I see anything Lego I think of when I used to play for hours with them. They have really advanced since I was kid. I had no idea this existed - what a great idea! This would make an awesome gift for my Lego lover!!! My kids both love Legos and this would make a great gift idea for them! Swag Feast Team Challenge ~ Join Today for FREE! Do Your Kids Hate Eating Soggy Cereal?